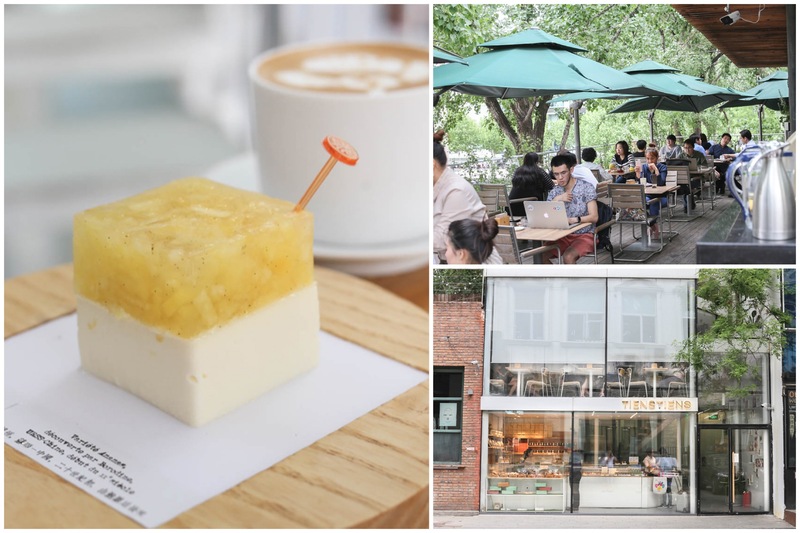 [Beijing] A search on the most hip and popular café in Beijing on “Dian Ping” (大众点评) will likely result in TiensTiens将将 as one of the top ten. 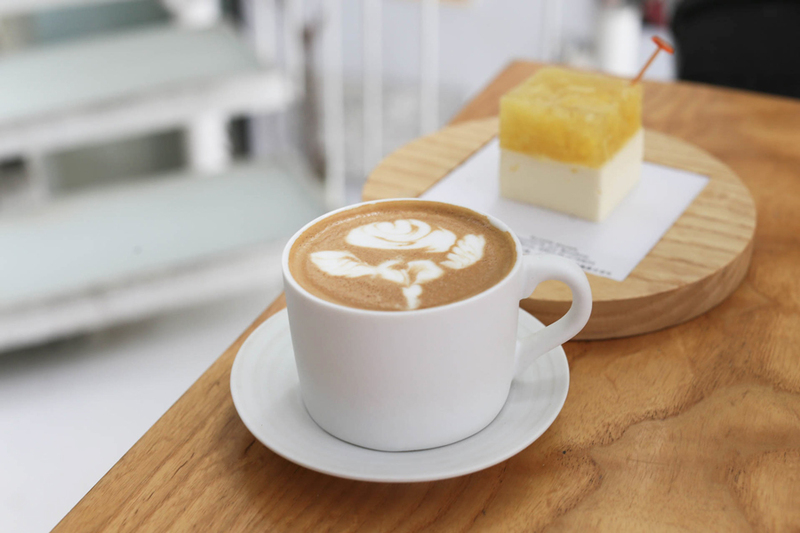 In fact, the coffee place came out first during the popularity ranking the week I was there. 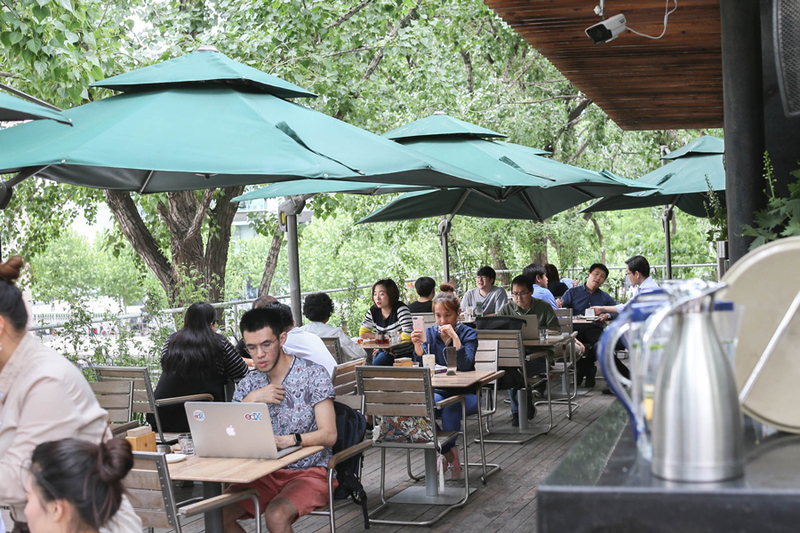 Since it is also near Sanlitun Soho, a visit became a must. 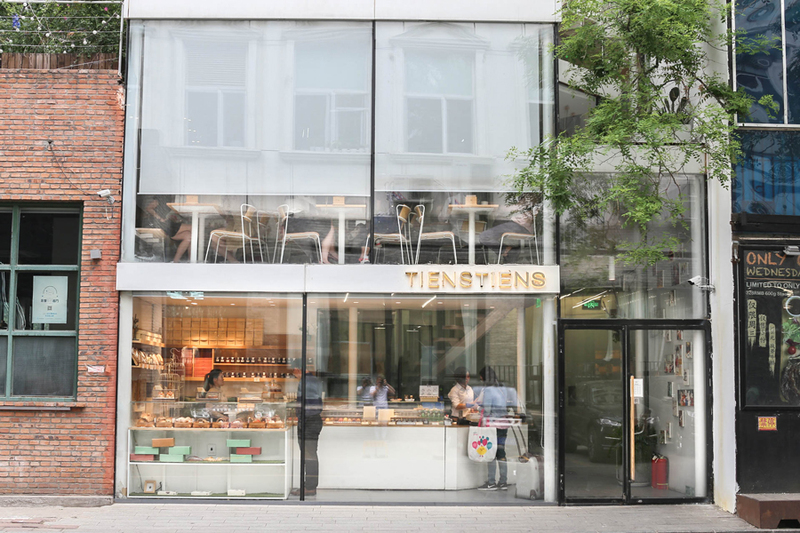 TiensTiens, which literally means “well well” in French, is a Parisian-style bakery café. 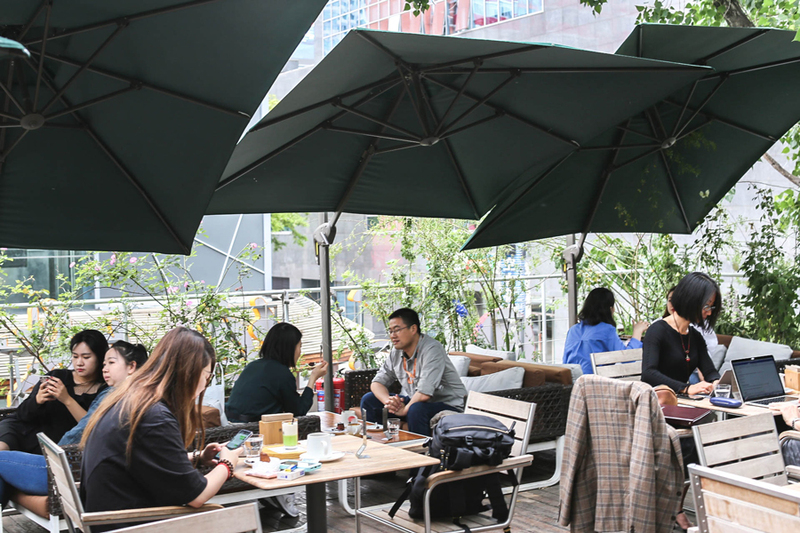 It is one of the latest additions to Courtyard 4 in Sanlitun – known for its fashionable dining and night life scene in Beijing. 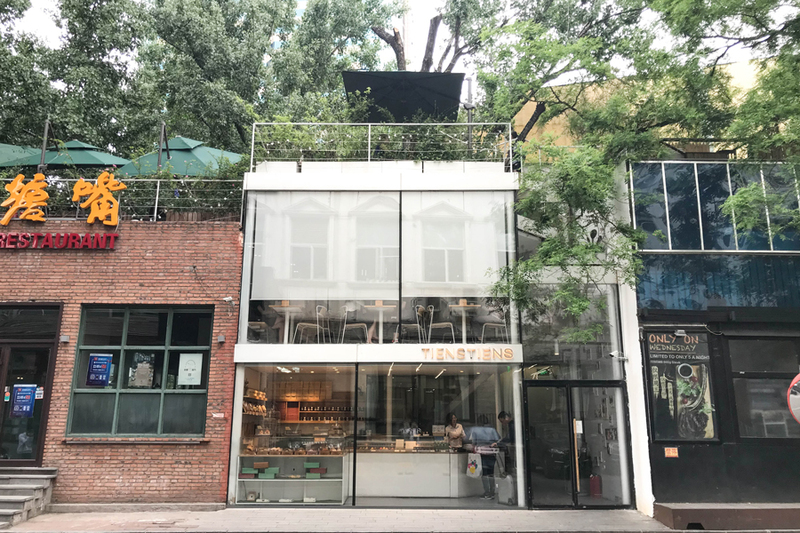 Their greenhouse-like glass building and their gorgeous rooftop dining area are highly Instagrammable, and therefore attract many young and trendy Chinese. You know what I mean when you take the stairs up to the highest level. 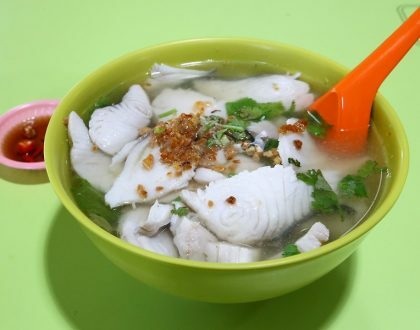 Incidentally, “tian” (which sounds like tien) is the Mandarin word for sweet. Not just a play of words, but TiensTiens is likewise a patisserrie. 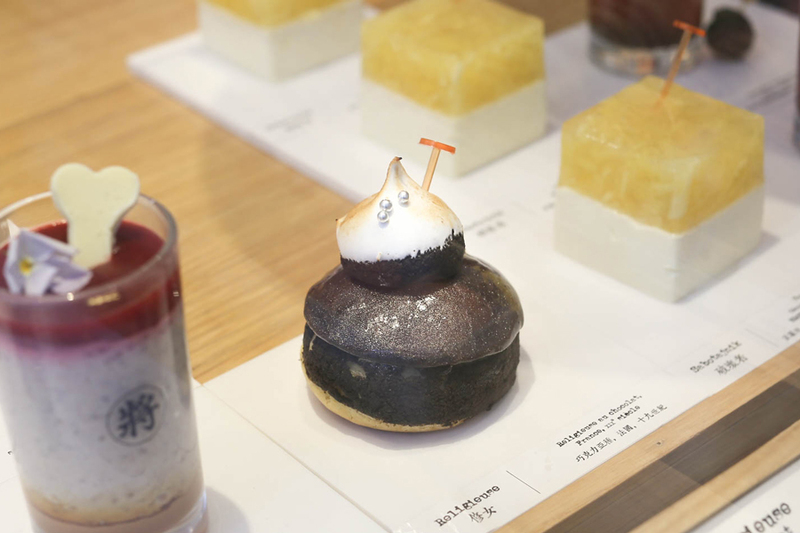 The display window features plenty of interestingly good-looking sweet cakes and pastries. 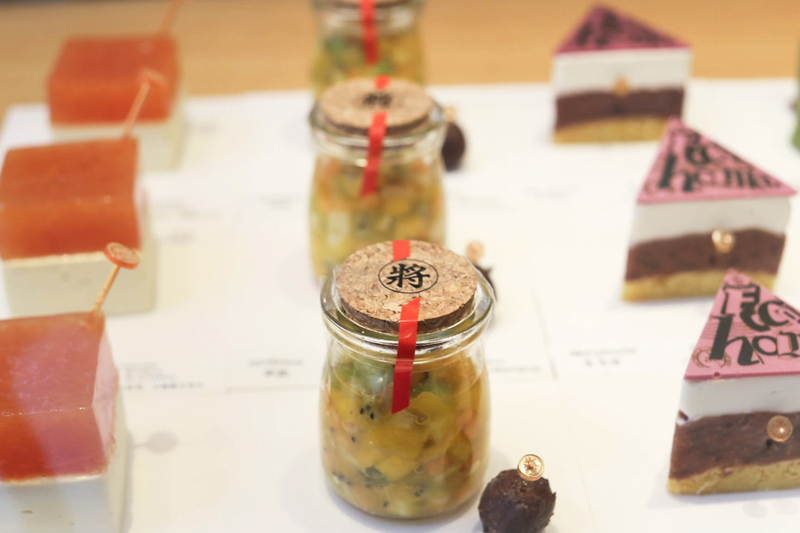 They have a whole range of truffles, macarons, and caramels, as well as artisanal breads and viennoiseries like whole grain baguette and pain au chocolat. With stylish packaging, they make nice little giveaways for sweet tooths. 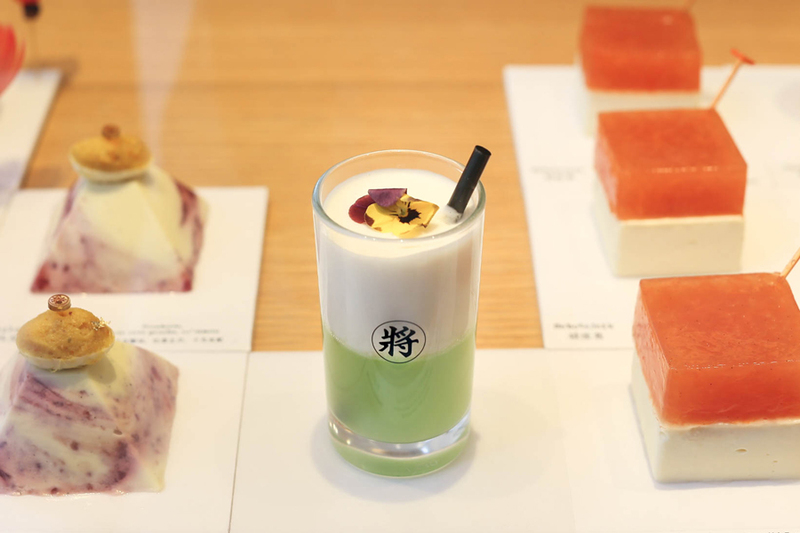 The cakes come in (pretentious) strange names though, such as Diplomate Framboise (¥62, SGD12.89), Blancheresse aux Herbres (¥42, SGD8.73), and Sycophante (¥60, SGD12.57) – which can mean “insincere flatterer”, so you are never really going to guess what the cake flavours are. 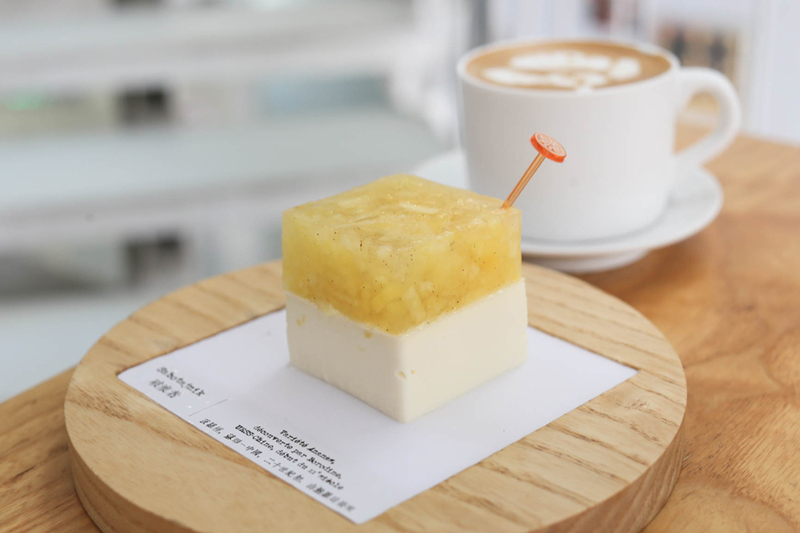 I ordered a Sabotajnik (¥60, SGD12.57) which turned out to be a pineapple cheesecake. 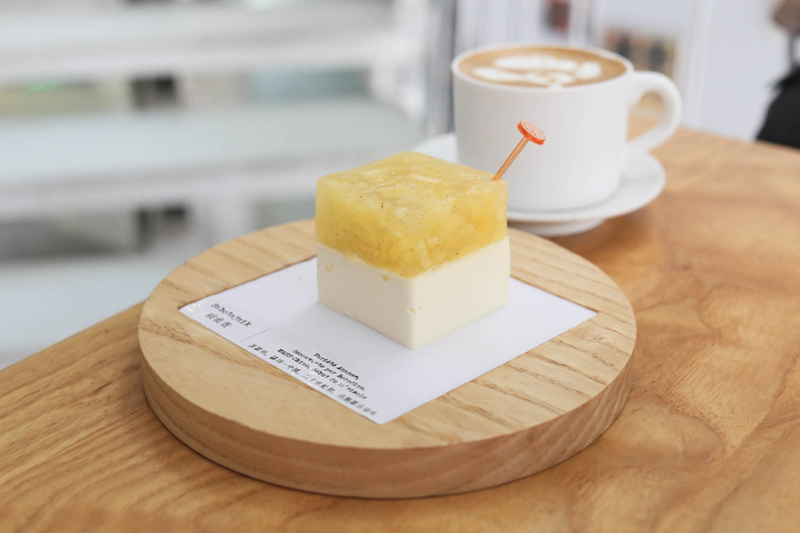 The slice was considered fairly expensive for its portion, and while it wasn’t exactly exceptionally delicious, I enjoyed the bright tropical top layer contrasted with a more mellow and creamy bottom. 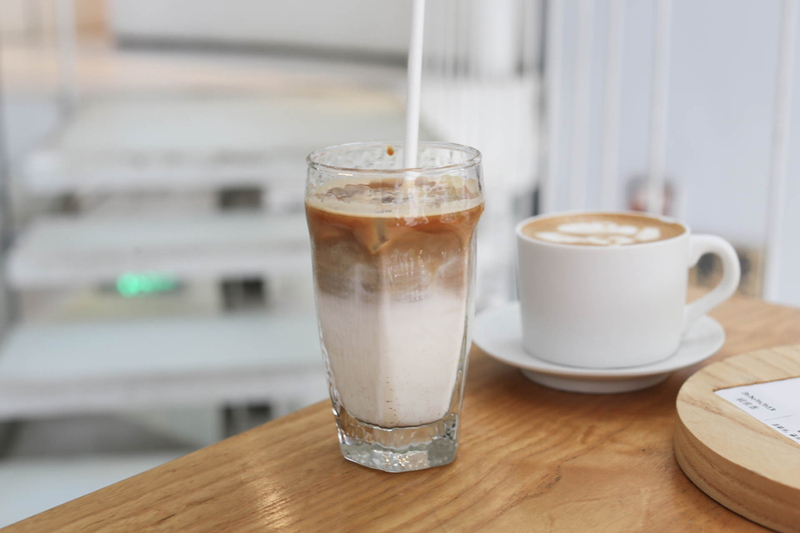 Aside from the classic espresso-based drinks, they offer GoodWorks beans, a Fairtrade coffee. 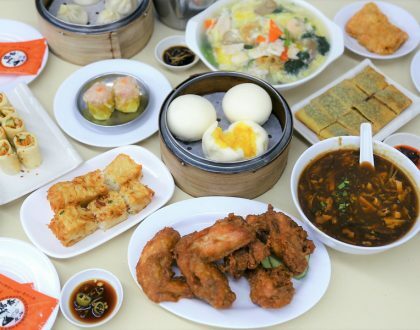 Another key feature of TiensTiens将将 is the various seating areas on different platforms. 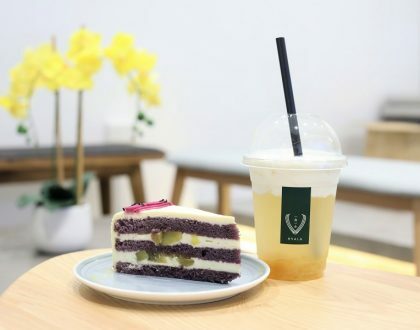 There is a tree that weaves though the middle of the entire shop – which has several levels including a spacious roof-top dining area, plus some patches of greenery makes this a relaxing environment to enjoy your cup of coffee.